Liver cancer is treated in our Liver, Gallbladder and Pancreas Cancer Program within the Upstate Cancer Center. For more information or answers to your questions about our Cancer Care, please call 315 464-HOPE (4673) to speak with an Upstate Cancer Center representative. Surgery—Removal of the cancerous tumor and nearby tissue, and possibly nearby lymph nodes. Some may have complete removal of the liver followed by a liver transplant . Radiofrequency ablation —This involves using heat to destroy the tumor. Imaging machines are used to guide the probe to the tumor site. Chemotherapy —Drugs enter the bloodstream and travel through the body to kill mostly cancer cells and some healthy cells; may be given by pill, injection, and via a catheter directly into the liver. 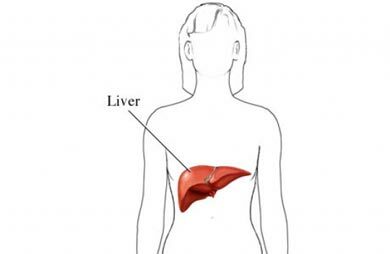 Library resources related to liver cancer. The detailed guide includes descriptions of the causes, risk factors, prevention, diagnosis, staging, treatments, and what's new in liver cancer research. The American Liver Foundation facilitates, advocates and promotes education, supports and researches the prevention, treatment and cure of liver disease. Information from the American Liver Foundation on liver cancer. Includes information on the liver, liver cancer, causes, risk factors, symptoms, diagnosis, treatments, and prevention. MedlinePlus search on "liver cancer"
Link to a search of the MedlinePlus database for health information on liver cancer. MedlinePlus links are managed by medical librarians at the National Library of Medicine. An electronic booklet about medical care for liver cancer from the National Cancer Institute. The booklet includes information on risk factors, diagnosis, staging, treatment, follow-up care, and cancer research.